A grey multifibre string offering good acceleration and comfort. 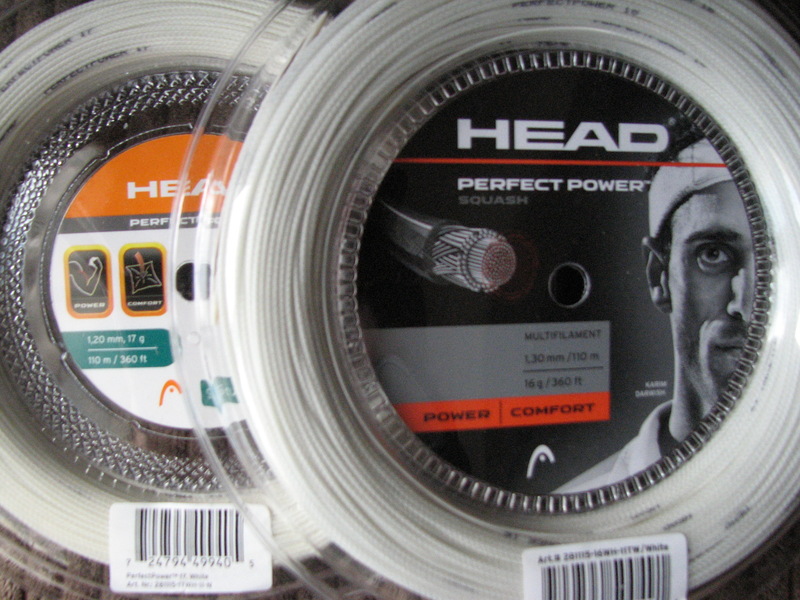 Head Perfect Power features a densely braided core of 1250 multifilaments, surrounded by a Co-Polyolefine Ribbon wrap plus a specially engineered anti-abrasion coating for added durability, which results in a crisp and powerful string. The Tecnifibre 305 squash string is the award winning number one selling Tecnifibre squash string, and is used by many professionals on tour including Ramy Ashour and Alastair Walker. The unique multifilament construction of the Tecnifibre 305 squash string, combined with a minimum 40% Matrix PU content, provides the player with ultimate power and comfort, whilst providing maximum shock absorption. I can also supply this string in 1.10mm and 1.30mm with notice. Excellent value for money with this string that offers very good comfort and playability. Solid Polymide core with single co-polymer outer wrap and polyurethane coating. Better durability than multifibre strings with only a small trade off with playability.